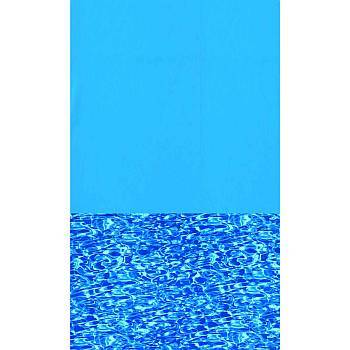 Our premium Vinyl Above Ground Pool Liners are protected against chemical degradation and UV fading. They feature the best cold / crack resistance in the industry. Computer designed and cut for a perfect fit each and every time. Strong, double-welded seams will withstand winter's worst. are made so that the excess liner material on the pool wall, simply overlaps the pool wall. They are secured by Pool Coping strips. If your pool has a 48" or a 52" wall, it uses the same liner, just trim off the excess. are made with a special bead at the top of the liner which snaps into a channel (Bead Receiver) at the top of the pool wall. This liner can be used to replace other beaded liners without additional equipment. This liner can replace an overlap or a hung liner with the addition of a bead receiver kit. 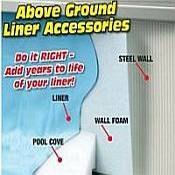 This liner must also be purchased specifically for 48, 52 or 54 inch wall heights. This type is also typical type of liner for an above ground pool. The liner at the top portion of the wall of a liner has a hardened upside down "J" looking curved piece that is designed to hang on the top of the pool wall. 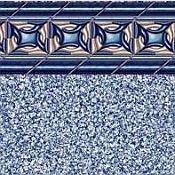 This is similar to a beaded liner with pattern styles but not as easy as a beaded liner installation as it requires the top rails of the pool to be removed to install as a beaded liner would not necessarily need this step. 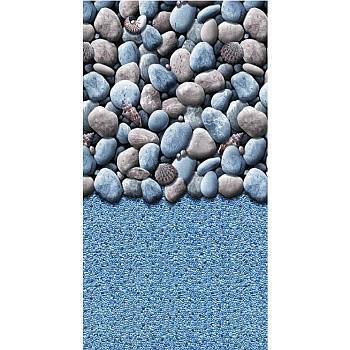 This type gives you the wide variety of wall patterns found with beaded and is usually a bit cheaper on AG pools because it does not require bead recievers to be installed. 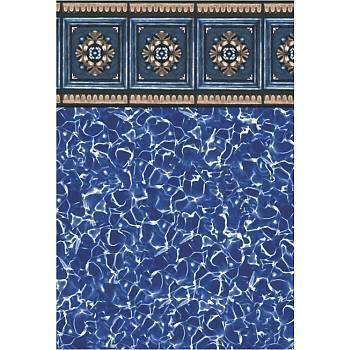 This type is an easy conversion from an overlap pool liner. Newest type of liner. As manufacturing processes getting better and cheaper, .this was the next step for liner manufacturers. They make the top part of the wall portion of the liner with a beaded and just above that put an upside down J-Hook. You can install this just like a J-Hook/J-Bead liner, or you can peel off the J-Hook Portion of the liner and it easily converts to a true Beaded liner. The Unibead provides all the benefits of protective liner and the freedom to use patterns found only on beaded liners. The thickness of pool liners can affect the overall durability of the vinyl liner. This is measured in terms as either mil or guage. We have a link below that will teach you the difference, but the larger the number the better, and that guage is better than mil. The standard gauge for an above ground pool liner is 20 ga, yet you can upgrade to a thicker vinyl liner for increased durability, puncture resistance, and price.. Beaded liners, and liners with more intricate print designs cost more because there are more steps in the making of these liners. The single most important aspect of choosing a new Above Ground Pool Liner is knowing the size/shape of your pool. Most above ground pools are either known as round or oval. 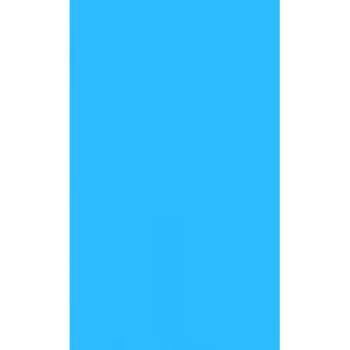 In reality, a round pool is a bunch of short straight sides that is roughly round in shape. An oval actually looks like a pill or capsule with two straight parallel sides with two half rounds on either end. There are a few rare rectangular above ground pools. 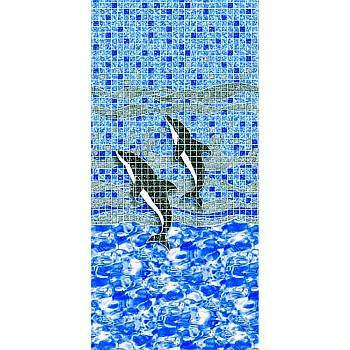 Click on your size pool below to view all our Above Ground Pool Liners choices. We can make you a liner for any round, oval or rectangle shape above ground pool size not listed below and ship it in about 2 weeks.